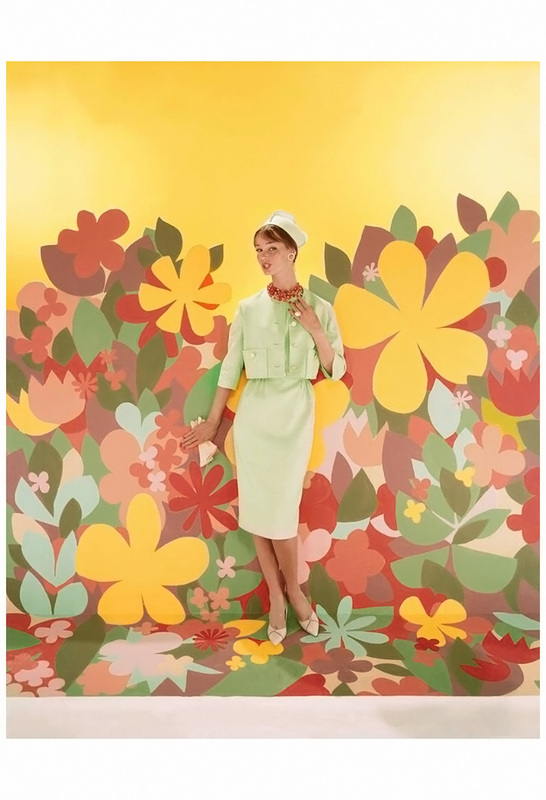 A model poses on a cluster of pale pink decorative plinths. 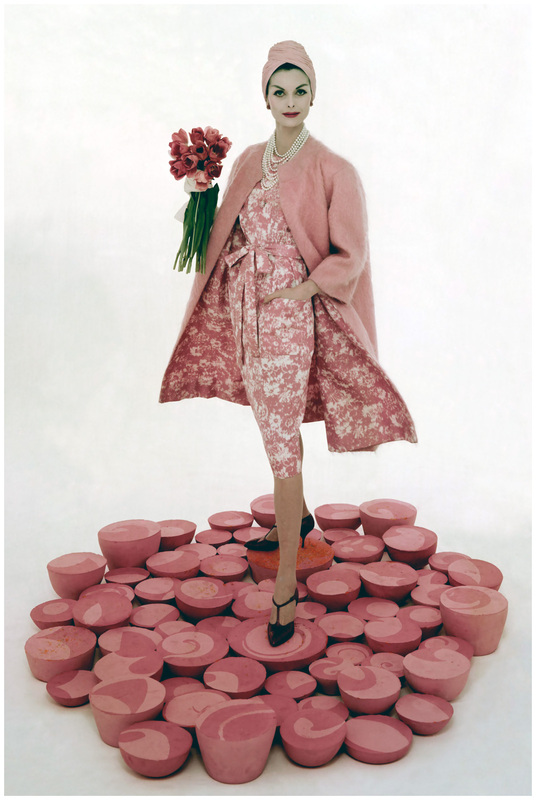 Carrying a bouquet of tulips, she wears an outfit by George Carmel—a mohair coat with a pink-and-white printed lining that matches the sheath dress underneath. 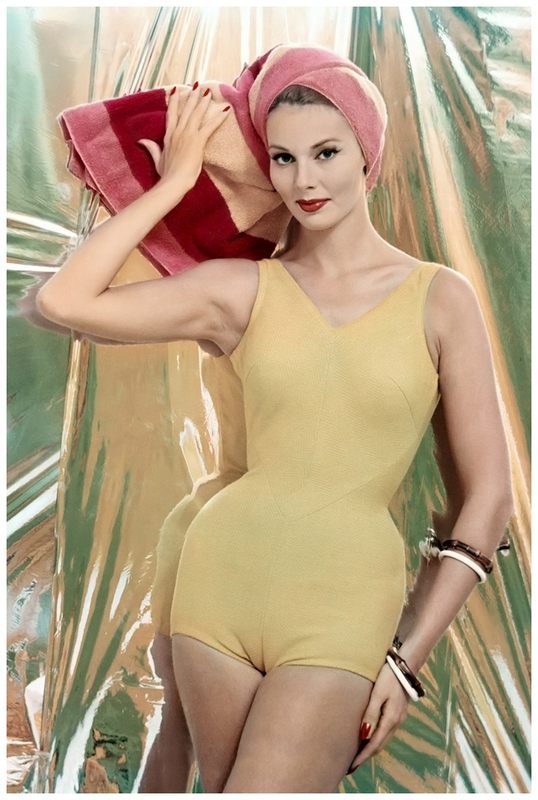 On her head is a pink chiffon turban, and tourmaline earrings by Van Cleef & Arpels grace her ears. 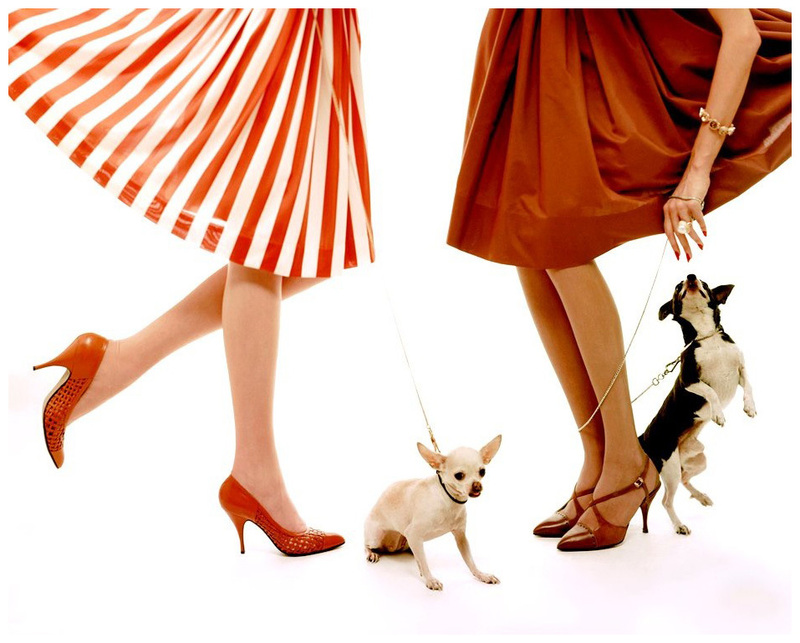 Claret-colored shoes add a splash of deeper color. 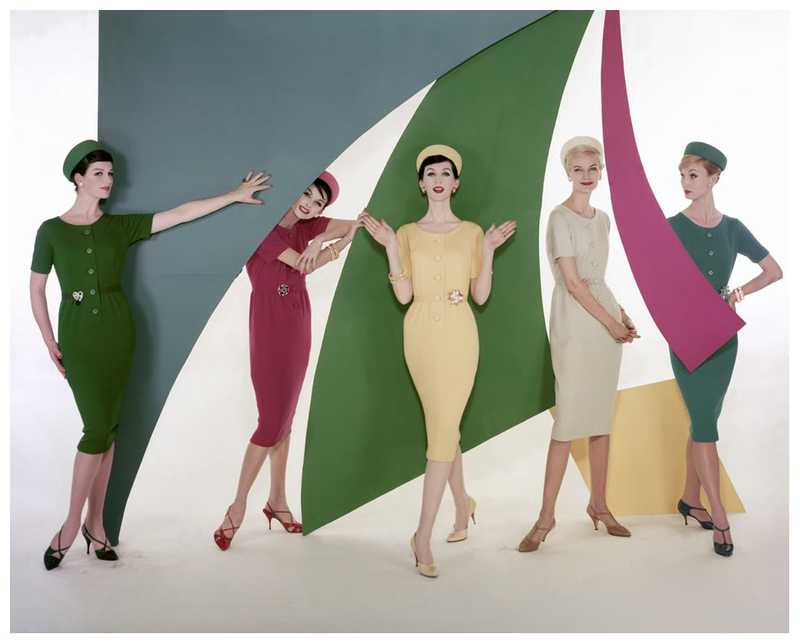 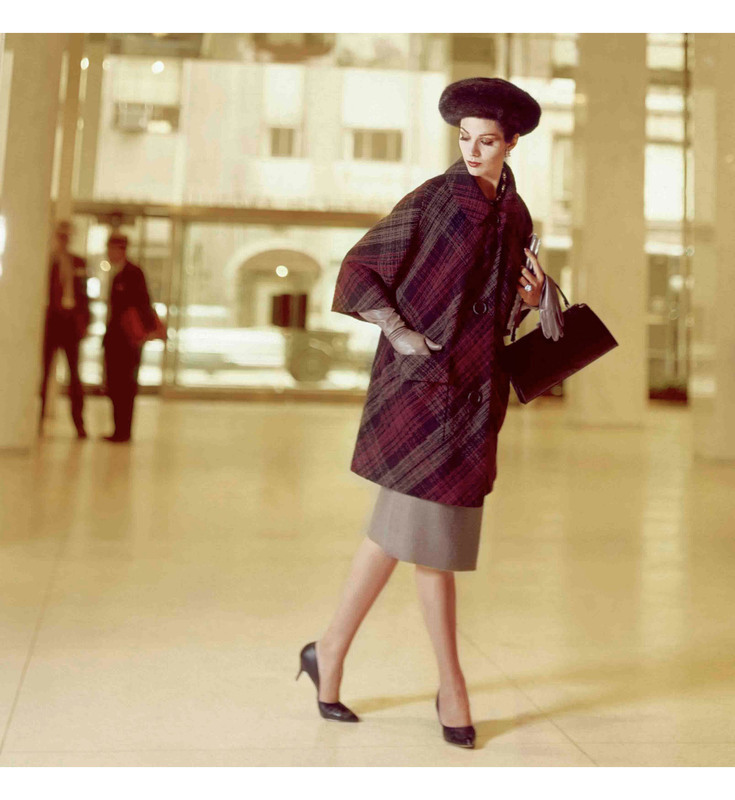 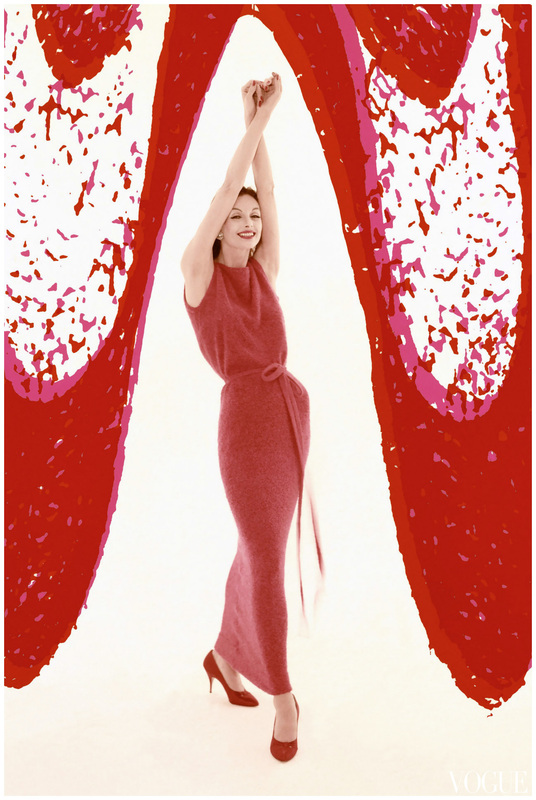 William Bell’s photograph appeared in the March 16, 1963, Vogue.